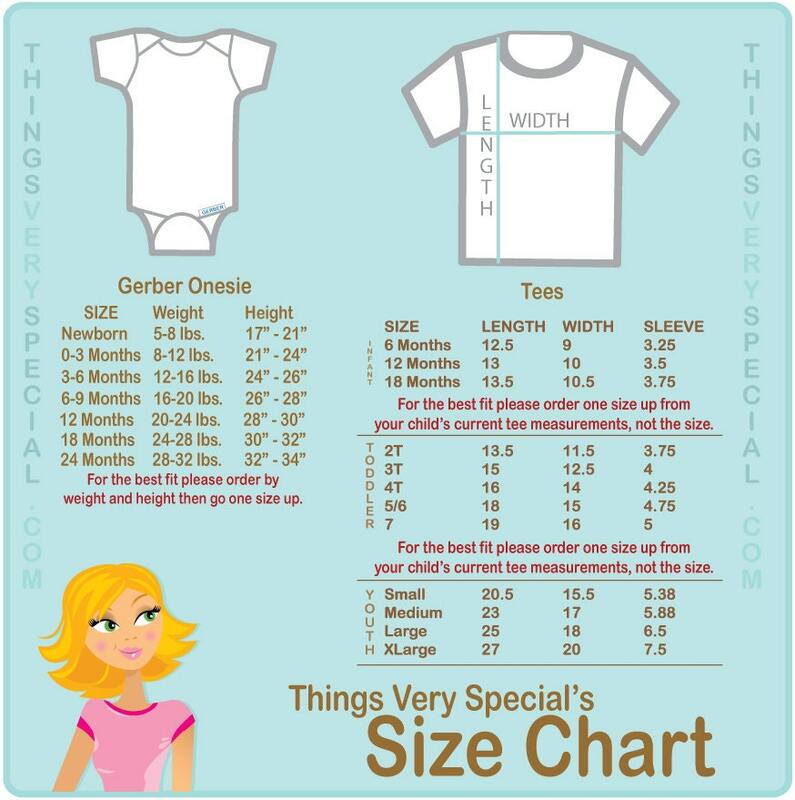 Cute Big Cousin and Little Cousin Shirt Set. 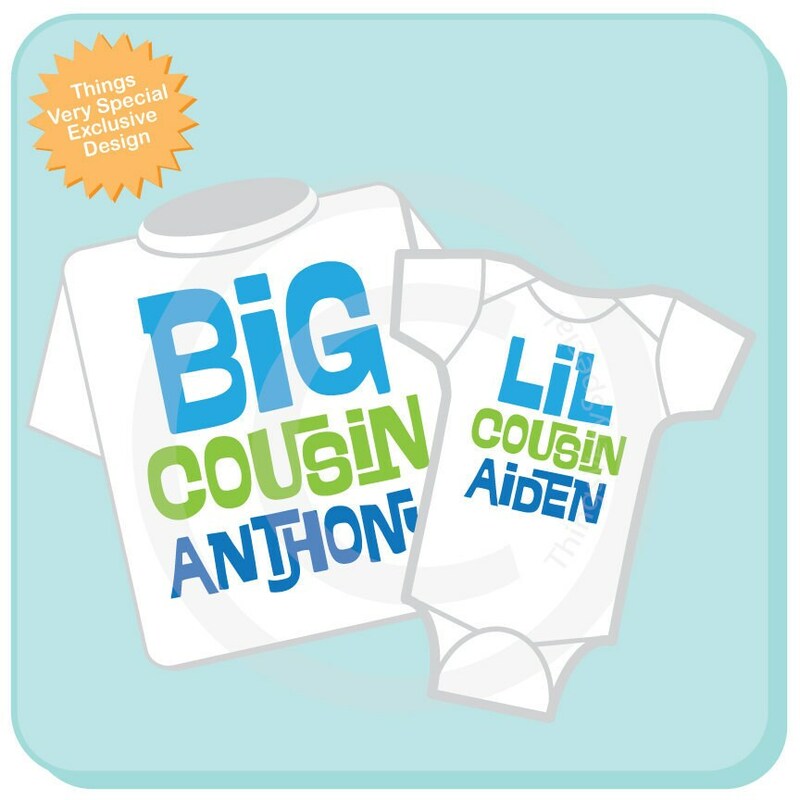 Super cute Personalized Big Cousin tee shirt and Little Cousin shirt or Onesie. This design is a blue and green text. Shipped on time, thank you! They turned out really cute! There is a little stain on the onesie, but hopefully it will come out in the wash.
order bigger sizes but really cute shirts!